Dozens of police officers were deployed and fired at least two warning shots in the suburb of commercial capital Yangon after Buddhist nationalists besieged the area on the pretext of arresting illegal Muslims from Rakhine State, local media outlets reported. Early morning incident at Muslim major part of Myayagone Street, Mingalataungnyunt Township came after systematic overnight arrangements by nationalists. Residents said a mob of over hundred led by Buddhist monks arrived by cars around 10:30 pm of Tuesday night and besieged the area before entering a Muslim home claiming illegal Bengalis (Muslims from conflict hit Rakhine State) are residing there. Thuseitta, a Buddhists monk who led number of anti-Muslim operations in commercial capital Yangon. A local media reported that two Muslim pedestrians were admitted to hospital after they were beaten by nationalists. The mob also shouted at the Township police station. Muslims residents had gathered to confront the unlawful acts of the mob, some witnesses said. MPs, official from township immigration and local administrative officials tried to ease the tension and extremists started to disperse early Wednesday morning after police deployment and two warning shots came out. 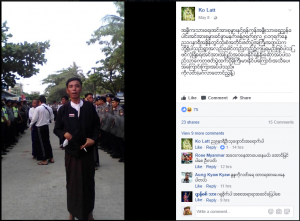 This is the second anti-Muslim operation arranged by Buddhist extremists in fortnight in former capital Yangon. 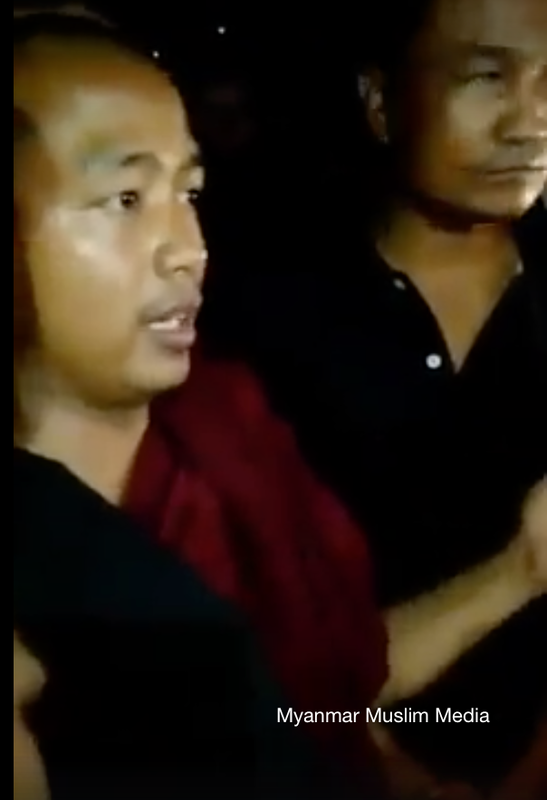 On 28th of April, after a week-long systematic propagating and arranging, a mob including some Buddhist monks besieged Muslim major part of Tharkayta Township, Yangon and forced officials to seal off two Islamic religious schools on the pretext of holding services without permission. 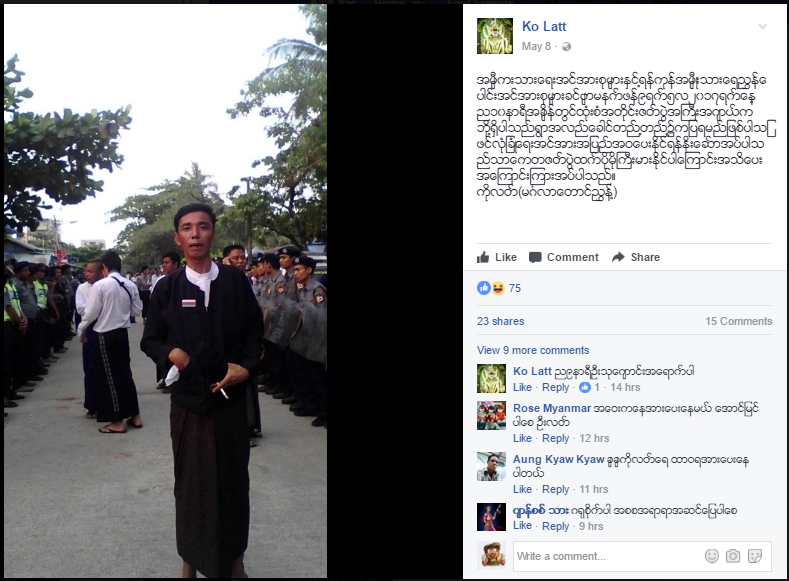 A nationalist from Mingalar Taung Nyunt Township gave a hint to start overnight anti-Muslim operation from his Facebook page.